Smart soundbars are an interesting idea. They’re like smart speakers, except they work with your TV, so you can use your voice like a remote control. Neat! 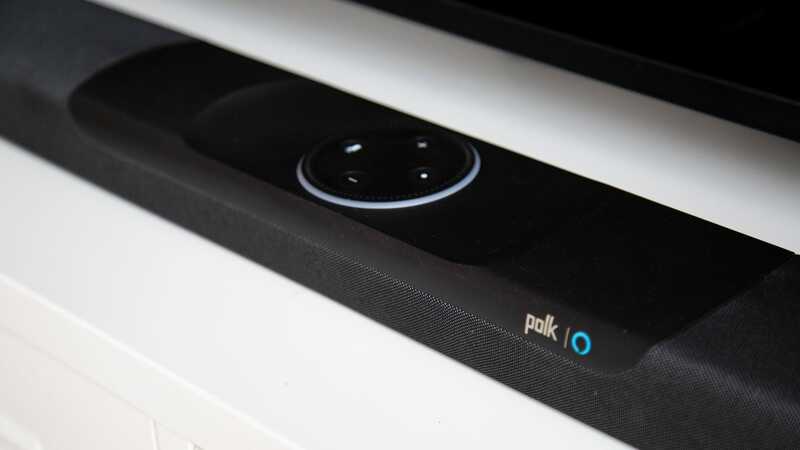 In January, Polk wowed CES attendees with its new Command Bar. Put bluntly, this smart device is a big honking soundbar with an Amazon Echo Dot stuffed inside of it. 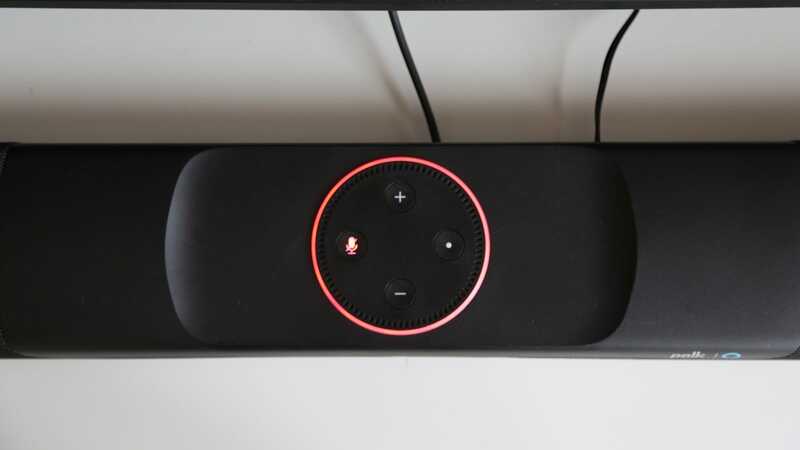 That means the Command Bar can do anything an Echo Dot can do as well as a few extra tricks. It’s pretty ugly, too. 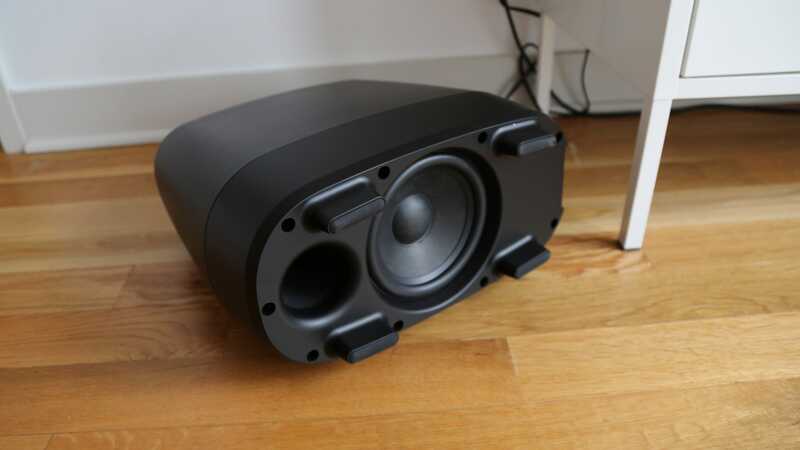 Polk is a well known and much celebrated audio brand with a history of making pricey floor-standing speakers for audiophiles’ living rooms. The Command Bar, however, is a departure of sorts for the decades’ old company. While Polk has long sold soundbars for £500 or more, the new system costs just £350 (currently reduced to £300) and comes with Alexa smarts built right in. That’s an interesting price point for a next-gen gadget that you may or may not find useful. 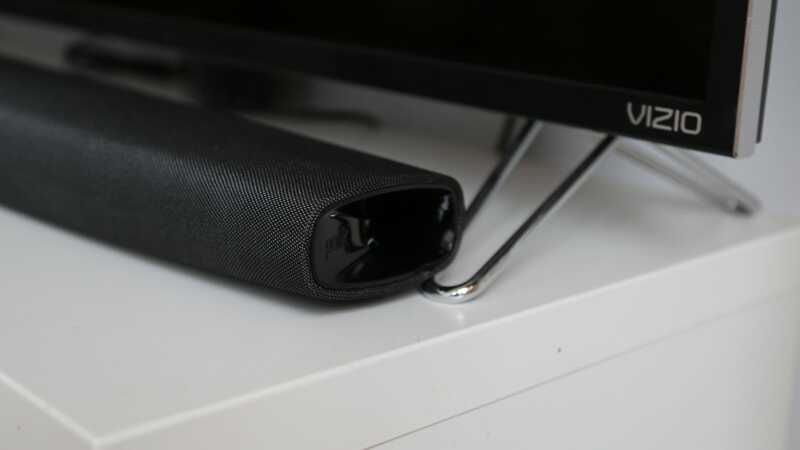 You can buy a regular Echo for £90, but if you’re also in the market for a soundbar, you can spend three times as much money to get the Polk Command Bar, which actually has good audio quality. It even comes with a subwoofer! 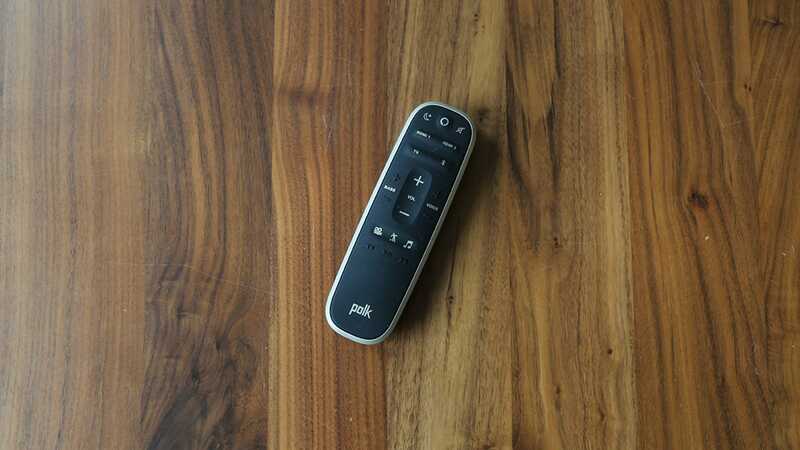 But the key feature is that the Polk Command Bar comes with an HDMI Arc port—as well as an optical audio port and a USB port designed to accommodate a Fire TV stick—so it will work well with most TVs. The problem, as mentioned above, is that the Command Bar is a bit of an eyesore. 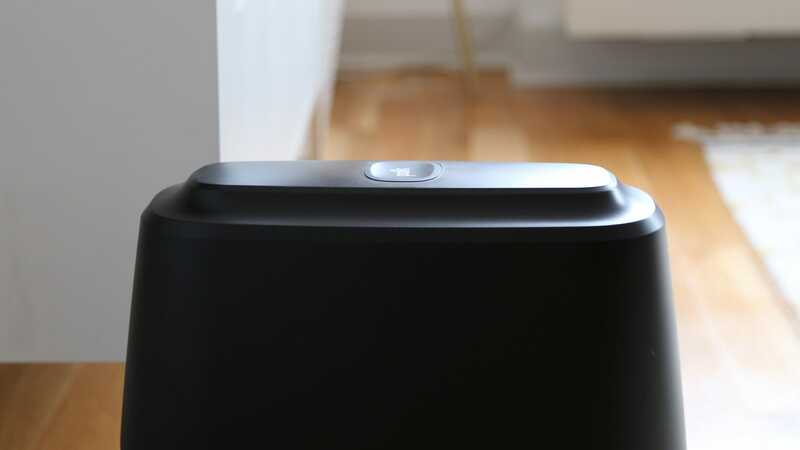 The subwoofer looks like some alien’s trash bin, and the soundbar itself kind of resembles a bloated black bō that choked on an Echo Dot. Everything is curvy in the worst of ways, though I realise some people might like the regression to early Aughts design. What really bugs me is the damn light ring on the Echo Dot. It’s just not subtle. If you want to ask Alexa to raise the volume on your TV the light ring will get just as bright and blue as it does on any Alexa, which is a little bit distracting when you’re trying to watch a movie. What’s much worse, however, is the fact that the light ring will glow red at all times when you mute the Echo microphone. That’s much more distracting, if you’re the type of person who would rather not have microphones listening to you all the time. Then again, if you don’t like the idea of easy voice controls, you might not want a smart soundbar to begin with. Now about those Alexa skills. The Polk Command Bar doesn’t really have any special ones. Volume control is cool, but it only works on certain LG, Samsung, Sony, and Vizio TVs. The Command Bar also fails to offer the special TV-specific skills that you’ll find on the new Amazon Fire TV Cube which, despite its faults, does let you use your voice as a remote control. You can do regular Alexa smart home stuff, like turn on your Philips Hue lights or whatever. But you can also do those things with a £35 Echo Dot that’s not hideously crammed into a pricier soundbar. The Command Bar’s saving grace is that it actually sounds pretty damn good. The soundbar’s huge size makes for a big sound stage, and ugly as it may be, the subwoofer provides strong, balanced bass. That makes watching a war movie like Platoon much more engrossing with the Command Bar than with, say, the cheaper Samsung TV Mate, and the simple fact that the Polk soundbar comes with a subwoofer almost makes it seem like a better deal than the new £400 Sonos Beam, another new smart soundbar with Alexa skills. Though it’s worth pointing out that the Sonos Beam also support’s Apple AirPlay 2 and is supposed to get Google Assistant support later this year. If you’re choosing between those three soundbars, all of which are new this year, you will be paying for what you get. Which is why Polk’s Command Bar is at least worth considering. You can spend more money and get a more attractive, more feature-filled soundbar like the Sonos Beam which lacks a subwoofer. You can spend less and get the kind of crappy but still functional Samsung TV Mate and probably feel disappointed with your decision. Or you can get the ugly Command Bar. You might not even think it’s ugly, if you’re a fan of clunky, backwards-looking Amazon design. There’s a chance that the Command Bar will get more useful. Alexa is always adding more skills, as they say. But for me, personally, I wouldn’t want this thing in my living room no matter how smart it got.